After long gap I'm going to post new blog. Due to the work load and research I have little time. MongoDB could not started after installation of 3.6 version, However downgrade to the 3.4, still the Mongodb couldn't start and show below error message. Search don't help to resolved the issue. After so much hit and trail nothing work. One Chinese forum posted this command and its works for me. Suddenly My Ubuntu 16.04 LTS giving me a issue, I can't open files manger as well as screenshots app. So I dig into the problem and found this temporary solution for file manager. Still searching for permanent solution. Ubuntu is very buggy since and then, not stable any way. New your file manager is ready to used. 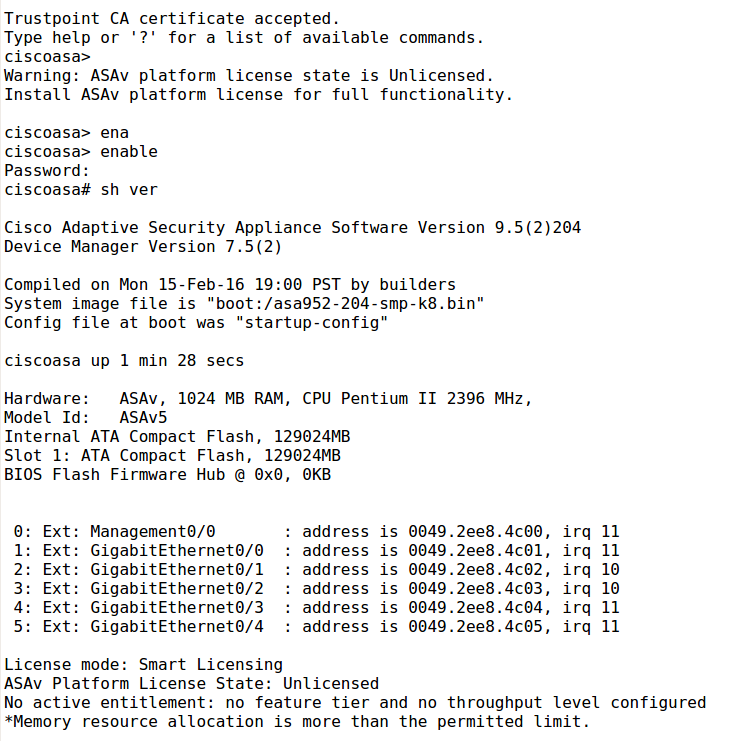 Here is another tutorial running Cisco ASAv on GNS3 using Qemu. 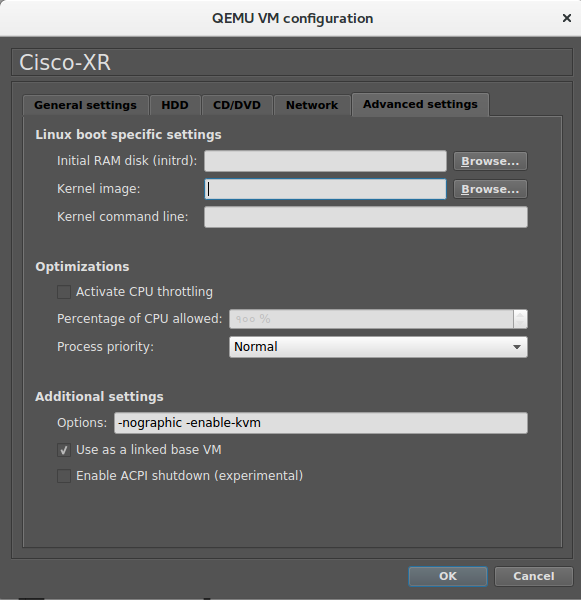 Don't forget to enable kvm and memory allocation. 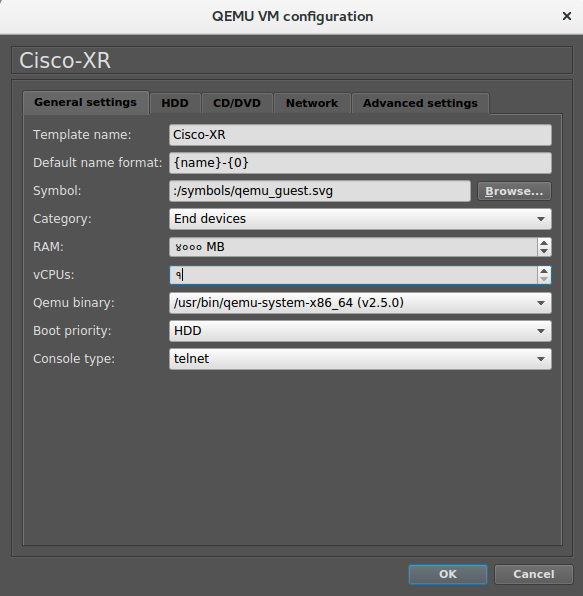 This time lets have tutorial on Cisco XR 9k series router image running on the GNS3. Please don't ask for the XR image. Your are smart enough to get it. This image is VIRL extracted image. I strongly recommend you to run it on the Linux system. then follow the onscreen procedure. 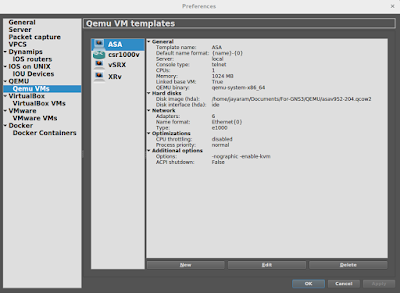 Setting for QEMU XR Image. Here you can see I can run the XR on my system. Interface is up and system is already booted. 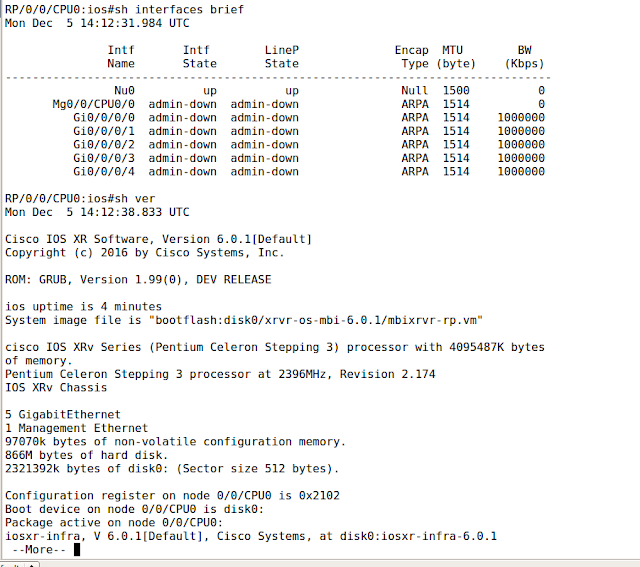 I have run 3 XR router here is my system RAM CPU usages. 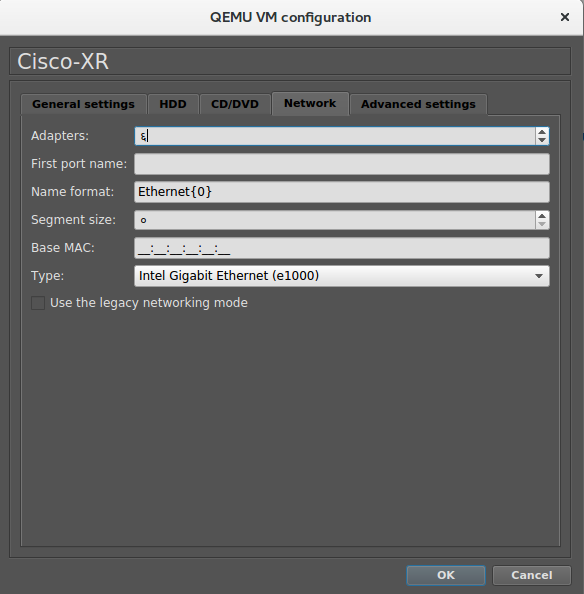 Note: Assign IP on gi0/0/0/0 interface but connect on e1 to e/1 on your router otherwise it will not ping. Unit vpnagentd service not loaded. How to resolved the issue?? First of all install the following packages. Now AnyConnect should be installed. 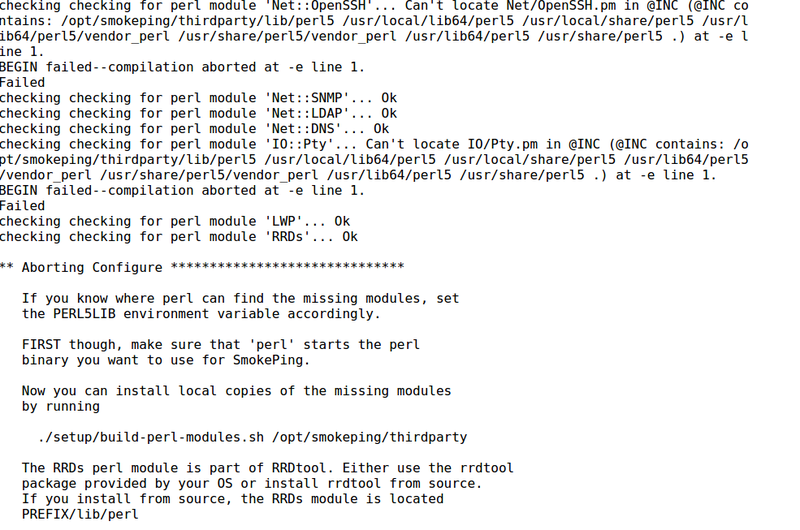 Recently I try to install SmokePing (tar ball) on Centos 7, for my company to check Network latency, but same error re-occur. 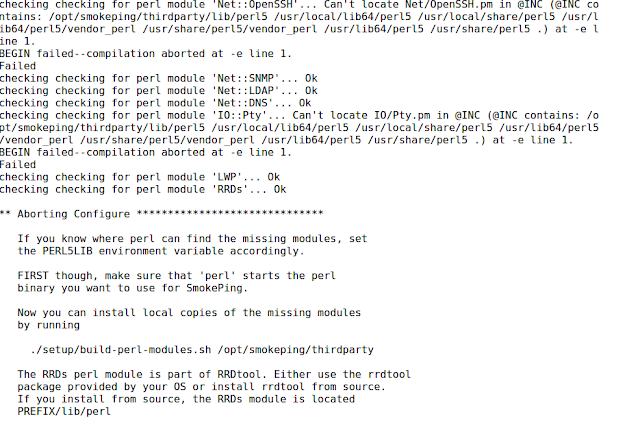 Then I search a lot, try to install the packages but the problem still appear, then after I found a simple solution. # SSH client found: OpenSSH_6.6.1p1, OpenSSL 1.0.1e-fips 11 Feb 2013. # Trying to connect to localhost, timeout is 15s. jay@jay:~$ ssh -oHostKeyAlgorithms=+ssh-dss -p 2222 jay@jpudasaini.com.npThe authenticity of host '[jpudasaini.com.np]:2222 ([192.168.156.101]:2222)' can't be established. DSA key fingerprint is SHA256:J#$/zFpzr05gdfrshufHHOQvss6NQcEpPMgKlibTc. 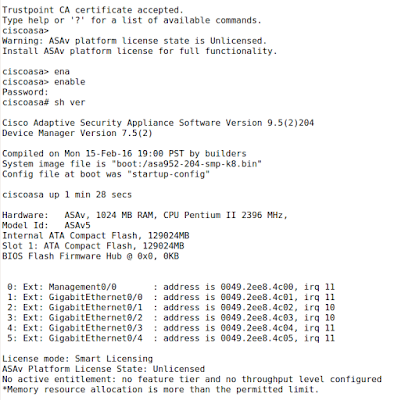 Warning: Permanently added '[jpudasaini.com.np]:2222,[192.168.156.101]:2222' (DSA) to the list of known hosts.